Hello and Welcome to The Paddock! Live Feed from The Paddock on Instagram! What Can I Expect to Find at The Paddock Farm Shop? Dairy - Handmade Local Cheese and Organic, Local Milk, Butter, Kefir and Yoghurt! Fresh Bread Baked with Local Organic Flour! Local Raw Honey and Beeswax! Sweet Treats - Organic Chocolate, Northumbrian Shortbread and More! Meet the Goats and Sheep! Fresh Food Delivered From the Land to your Hand! 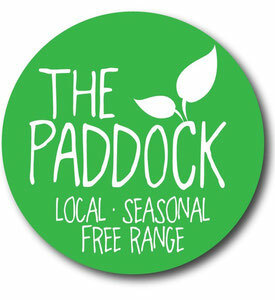 Established in 2013 by Laura Jayne Burlison, The Paddock is an organic fruit and veg box scheme and delivery service focusing on environmentally friendly, local produce with ethics at the heart of everything we do. The Paddock Farm Shop is a zero waste shop stocking a range of organic and local products, with minimal plastic packaging, a refill system for eco friendly household products and a plastic free pantry. The Paddock has been inspired by our family smallholding, named The Paddock, based on the beautiful Northumberland border. Read Our Story. Organic Fruit and Veg Box Scheme! The Paddock is an organic Fruit and Veg Box Scheme, covering Newcastle, Gateshead, some parts of County Durham and Northumberland. Read all about and order our veg boxes, view our selection of organic fruit options or browse our selection of local produce. 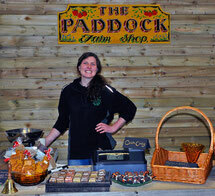 The Paddock Zero Waste Farm Shop! 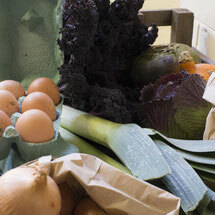 The Paddock Farm Shop, 7-9 Ramsay Street, High Spen, NE39 2EL focuses on organic, local produce with a zero waste ethos. Pop in and refill from our selection of eco friendly household cleaning products or Plastic Free Pantry of Organic Dried Goods. Read more about our Farm Shop. The Paddock itself is my family's 6 acre smallholding which we have owned since 2002, based on the beautiful Northumberland/Gateshead border. This has provided the starting point for our small, family run business aiming to bring local, fresh, seasonal, homegrown, homemade and organically sourced (wherever possible) food to the doors of local people throughout Gateshead, Newcastle, County Durham and Northumberland through a delivery service and our Farm Shop. 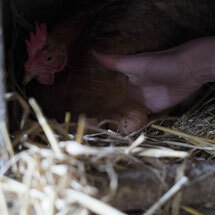 See photos from our Smallholding. Our delivery service runs weekly on a Wednesday and Thursday depending upon your area. Orders must be received by Sunday evening for delivery the following Wednesday/Thursday. Payment is taken upon delivery (not upon placing the order) by either cash or direct bank transfer. Once you have placed your order, you will be contacted directly to confirm delivery. Please have a read through the "Frequently Asked Questions" section before placing an order for full info on the service including delivery areas and collection points! The Paddock will be on holiday from Saturday 1st June 2019 for 2 weeks, returning to normal week commencing Monday 17th June 2019. The Paddock Farm Shop will be closed and there will be no delivery service during this time. We will not be responding to emails and telephone calls. Orders placed during this time will be processed on our return. Apologies for any inconvenience caused.